Road engineering – the way urban streets are designed and built – plays an extremely important role in ensuring road safety. The right kind of engineering for a street includes measures that actively restrict the scope for road users to violate speed limits and other traffic rules. For instance, a roundabout or intersection should have appropriate infrastructure that takes into consideration vehicular capacity, turning radii, visibility, pedestrian movement and other factors in order to be effective and significantly reduce the likelihood of a traffic violation. In addition, traffic behavior and enforcement of traffic laws can be improved by properly engineered infrastructure. An example of this is from Mumbai. Design changes made at two intersections, one in Bandra West and another at Nagpada, have resulted in improved travel times for commuters and better pedestrian management and access. In the past, these intersections had reported a number of fatalities, owing to poorly designed infrastructure. By increasing the island area for pedestrians and reorganizing motorized and non-motorized traffic to improve traffic flow these intersections were made safer for all users. 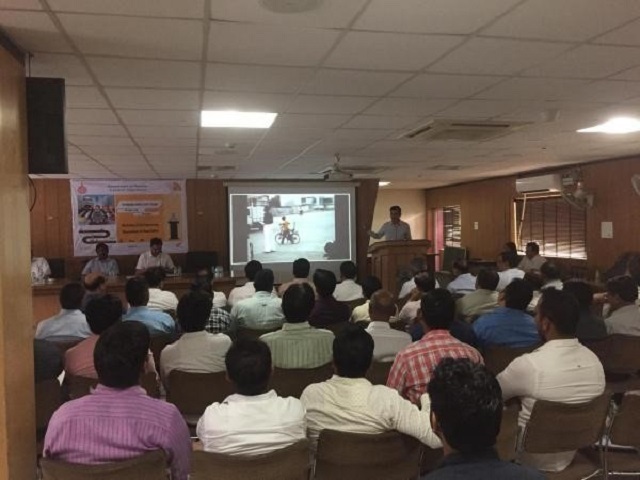 This was showcased at a workshop held last month, organized as part of the India Vision Zero initiative, which brought together road engineers from public works departments from various cities in the state of Haryana, as well as participants from state and national agencies. 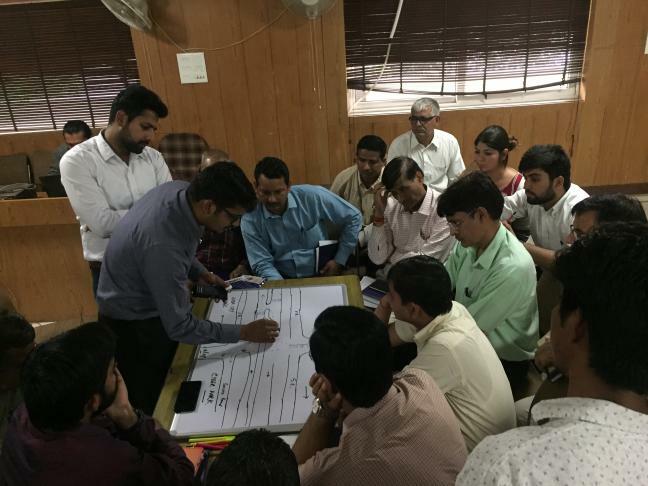 Using Mumbai as an example, participants – including road safety experts from WRI India Ross Center – worked on redesigning and rethinking intersections in Haryana. At the workshop, two critical intersections in Gurugram – Bakhtawar Chowk and the intersection at Aarya Samaj Marg – were considered owing to the alarmingly high number of fatalities reported. Several reasons for these fatalities were uncovered by workshop participants by analyzing the existing on-ground infrastructure. One of the key issues identified was excessive road space that inadvertently encouraged motorists to drive on the wrong side. This resulted in limited pedestrian access and restricted differently-abled people from using the walkway. Through discussions, several solutions were suggested by the engineers that could be easily implemented without disrupting traffic flow or incurring unnecessary expenditure. The approach of this workshop, which combined on-the-ground investigation and analysis with classroom-style instruction, offered a better understanding to participants on how to make streets safer for all. More such workshops under the Haryana Vision Zero program are scheduled to take place in other districts in the near future. This article originally appeared on WRI India.